Liverpool have put a six-week timeline on Sadio Mane’s recovery from a hamstring injury, and in that time on the sidelines he will miss important games. As reported on the club’s official site, he suffered the setback whilst in action for Senegal last weekend, and they believe that it could take around six weeks before he recovers. Given it’s a hamstring injury, they’ll have to be cautious with it too as they won’t want to rush him back and risk a fresh setback, but that initial timeframe means he will be out until the next international break. Prior to that, Liverpool face Manchester United this weekend in a big game for the old rivals, with United looking to make a statement at Anfield to prove their Premier League title credentials, while the Merseyside giants need a win having won just one of their last seven games in all competitions. Beyond that, Jurgen Klopp’s men face Tottenham on October 22 while they have back-to-back Champions League meetings with Maribor to navigate as they risk missing out on qualifying for the knockout stage. Liverpool currently sit in second place in Group E having drawn both of their opening two games, and with Spartak Moscow level on two points with them, they will be desperate to pick up a win next time out when they face Maribor away on October 17 and then in the reverse fixture two weeks later. It’s never a good time to lose one of your most important players, but with the games coming thick and fast in all competitions in the coming weeks, this really is such a costly blow for Klopp and Liverpool and they’ll have to find a solution. 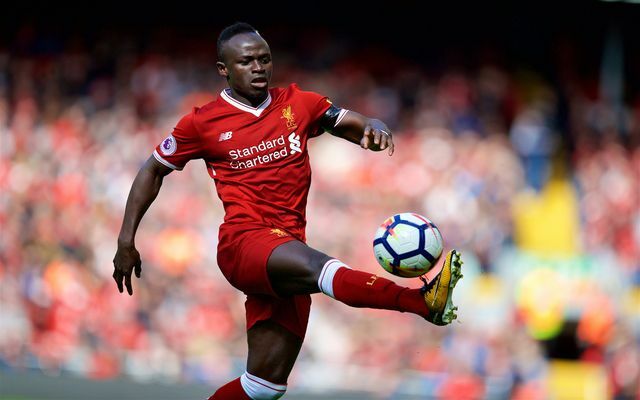 They won just one of seven matches in all competitions without Mane last season while he was at the African Nations Cup in January, and so the Reds will be hoping that there isn’t a repeat of that this time round.